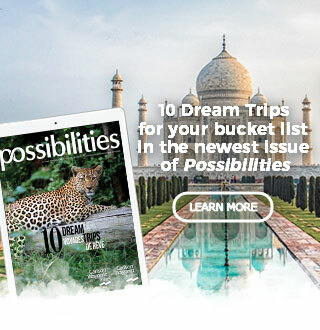 Possibilities magazine is our online publication, featuring stunning photography, inspirational stories, and helpful travel tips. Discover your next dream vacation with the turn of a page. 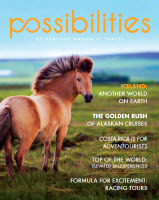 Each issue focuses on a different type of travel, so whether you’re looking for some much deserved R&R, an adventurous expedition, or discovering the cultures of the world, you’ll find it all in Possibilities. 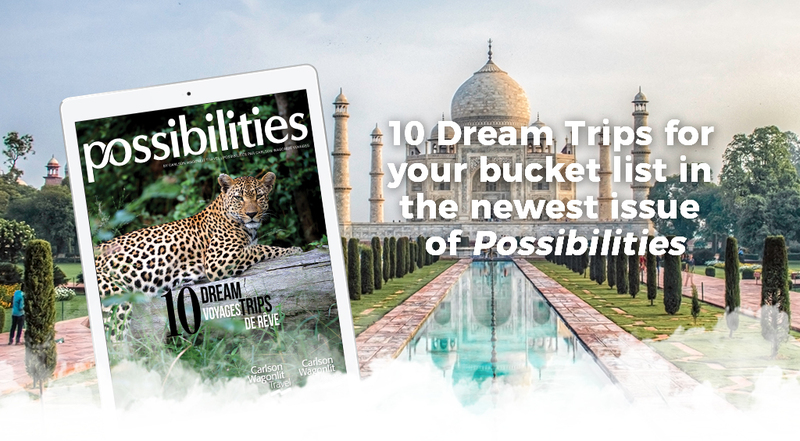 10 Dream Trips for your bucket list in the newest issue of Possibilities. Whether you’re picturing yourself walking the Great Wall of China, exploring the towering grace and beauty of the Taj Mahal in India, or trekking the mountainous cities of secluded Bhutan, we’ve chosen 10 epic trips to inspire your wanderlust. 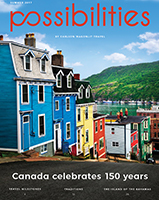 Plus, in this latest issue of Possibilities, our CWT Travel Advisors provide the insider tips you need for tasting your way through the tropical-inspired delights of Barbados, living it up in Los Cabos with new luxury properties and delectable dining experiences, and savouring Veneto, Italy where you’ll find the perfect recipe for la dolce vita! 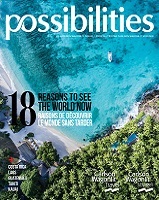 In this revamped issue of Possibilities, find paradise in the islands of French Polynesia, retreat to the relaxed vibe of Thailand’s beautiful beaches, fall in love with Croatia’s renewed sense of hospitality and history, and unearth something new in Costa Rica’s emerald rainforests, pristine waterways and playful wildlife. 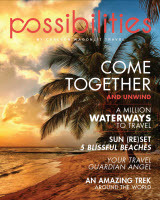 It’s time to unwind and get cozy with the Fall issue of Possibilities magazine. Inside these pages, you’ll discover the beauty of exploring Europe as a solo traveller while taking in some of the best food and culture the continent has to offer. Then, uncover the lesser-known cruise ports that are sure to exceed your expectations of everyday ports of call. After that, take a deep breath in and exhale slowly as we slip into the calming vacation state of mind, and learn how to ensure your next holiday is a relaxing one. Discover the refreshing (and refreshed!) 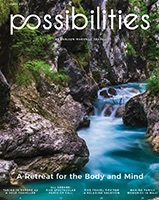 Summer issue of Possibilities! Remember, relaxing and recharging doesn’t only start when you arrive at your destination. It starts by contacting your CWT Travel Advisor who will take the stress out of planning your best vacation ever! 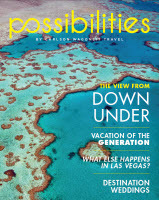 Whether you’re interested in underwater sightseeing in the Great Barrier Reef, the hidden gems of scintillating Las Vegas, or bringing grandparents and grandchildren on a generational getaway, it's all in this issue. 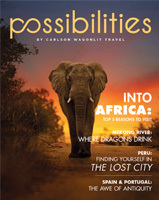 Welcome to our luxury edition of Possibilities by Carlson Wagonlit Travel. 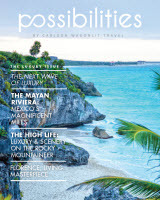 This issue explores the finest Tailored & Luxury travel experiences in the world. You’ll find inspiration on every page, from the magnificence of the Mayan Riviera to the masterpiece that is Florence.